This error is accompanied by a flashing green light. If the light continues to flash for more than 90 seconds, you might need to restart your Xbox 360 console or the console software might need an update. If the flashing green light doesn’t turn solid after 90 seconds, try the next solution. 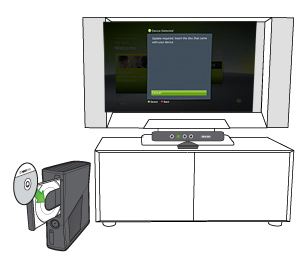 Note If you don’t have a Kinect game disc handy, see How to get a new Xbox 360 update for more update options. Şu anda okuduğunuz "Error code C00000A3 and a flashing green light occurs when you use Kinect" sorunu ya da farklı bir sorun hakkında Destek ile iletişime geçmek ister misiniz?